This was a really quick and easy meal to fix. Delicious. Place pizza crust on 12″ round pizza pan. 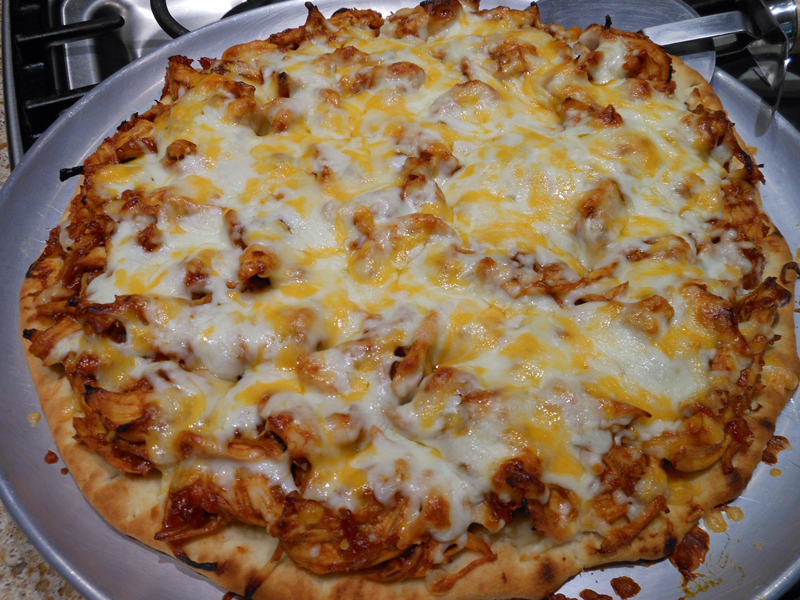 Combine chicken and barbecue sauce; spread on pizza crust. Sprinkle with cheese. Bake at 450 degrees for 8 to 10 minutes, or until cheese melt and crust is crisp.